A key to the game’s success will be an epic and complex narrative has been carefully woven together to draw players into this fantasy world of magic and mystery. 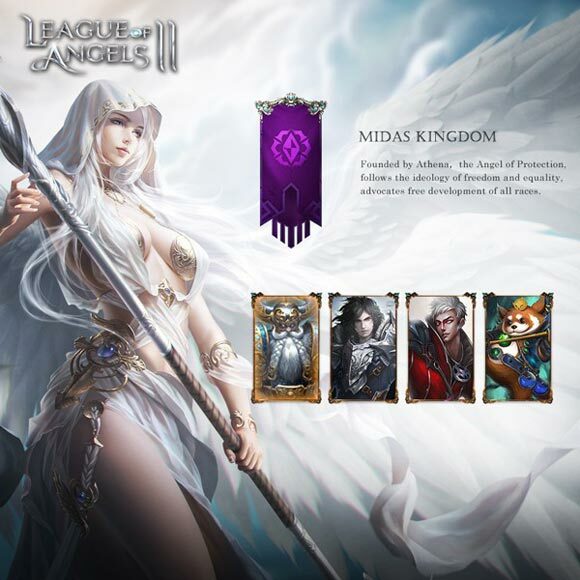 Dive into League of Angels II as we uncover the legend of the Three Angel Kingdoms. A hundred years had passed since the Angels escaped annihilation on their world and settled upon Sapphire. For decades, the Angels prospered in their new home alongside the native races. But peace would not last. An ancient evil had corrupted one of the Angel’s greatest leaders and turned her against her kind. The massive war that ensued forever changed the once peaceful land of Sapphire. The Angels, together with the races of Sapphire, eventually emerged victorious in the Great War, but it was not without great sacrifice. The survivors continued to be tormented by their loss, until finally the Angels’ conflicting ideologies split them into three kingdoms. After the great war left Sapphire in ruins, the Angel Athena took the intiative to restore the land back to its former beauty. She created the kingdom of Midas and opened its gates to all races. 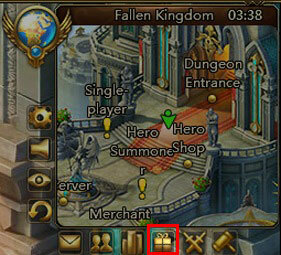 The citizens of Midas were all equals and given the freedom to develop on their own. Under Athena’s wisdom and guidance, the Midas Kingdom grew into the largest and most prosperous of the three Angel Kingdoms. Moira blamed the corruption of their leader on the humans. When the war ended, she took her followers to the north and established the Tempest Kingdom. Her people share some radical ideologies. First is the right of the Angels to rule over the lesser races; they cannot be trusted to govern themselves. Second, peace cannot be achieved without conflict. Fortuna considered her race responsible for bringing devastation to Sapphire. In order to make amends after the Great War, Fortuna established an asylum for all refugees. She felt it was her duty to help those who had lost everything. Her act of grace eventually led to the rise of the Celestial Kingdom. 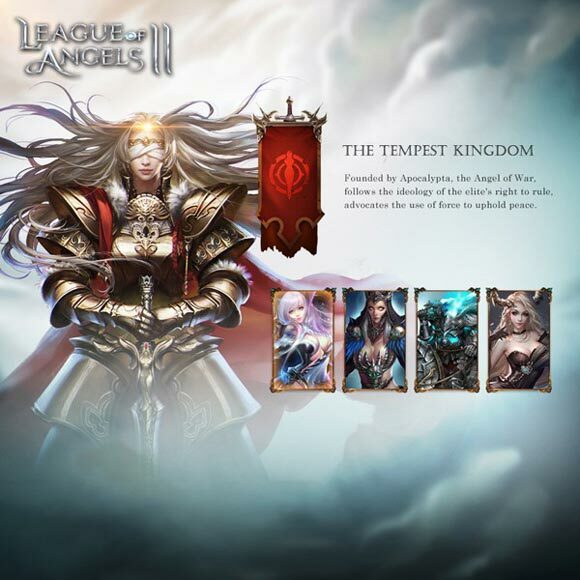 The Three Angel Kingdoms hold unique ideals and characteristics, and each draw different Angels and Heroes under their banner. Their story has only just begun. The mysteries of Sapphire will be up to the players to unravel. 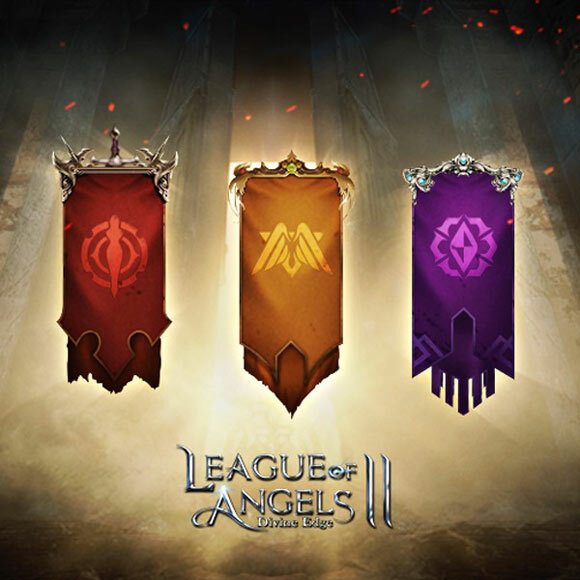 League of Angels II’s beta testing is just around the corner, please stay tuned for more news. 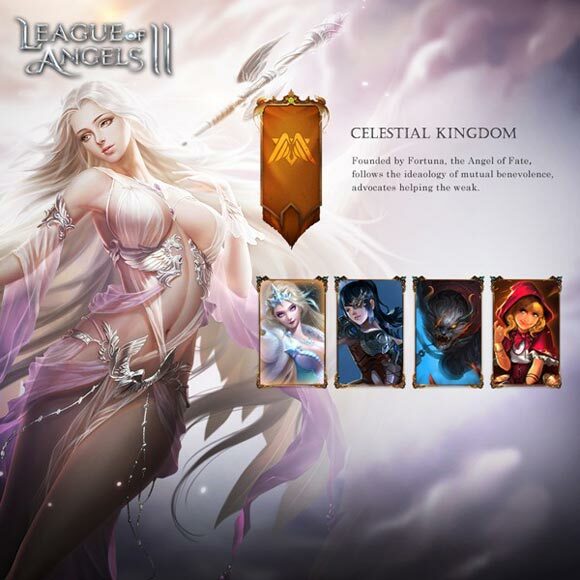 Your legend will be waiting for you to write in League of Angels II!